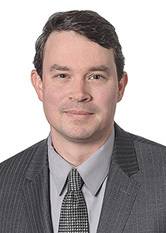 Daniel Corrigan is an Associate in the Real Estate Practice Group. He focuses his practice on Commercial and Residential Real Estate Litigation and has experience in all phases of litigation, including pleadings, document discovery, depositions, motion practice, trial, and judgment enforcement. Prior to joining the firm, Mr. Corrigan handled commercial lease litigations on behalf of landlords and commercial renters with special regard to matters involving lease breach, unreasonable refusal to sublease, competition in violation of lease, and failure to maintain property. He also has experience in intellectual property work including litigation, drafting patent license agreements, non-disclosure agreements, and trademark registration.